Mary Lou Bellamy Gray, 85, retired owner and president of Gray Mortuary in Pelzer, and widow of James Lee “Jim” Gray, Sr., passed away December 2, 2017. Mrs. Gray was a native of Nashville, Tennessee and the daughter of the late Gordon Allen and Vera Gladys Everett Bellamy. A graduate of West End High School, she met her husband while he was earning a degree at Gupton-Jones School of Mortuary Science in Nashville. After his graduation and their marriage in 1952, she joined him in Pelzer where he worked for and eventually became President of the mortuary. At age 48 and until retirement, Mrs. Gray assumed full ownership of Gray Mortuary and provided impeccable leadership before turning the family business over to her sons. During her presidency, she oversaw two major building projects, a chapel and a visitation wing, and she earned the respect of hundreds of families in southern Greenville County, northern Anderson County, and elsewhere. For her children, grandchildren, employees, and others, she modeled the benefits of dignity, integrity, and hard work. She was the epitome of a true southern lady who consistently put her family and community above herself. Mrs. Gray was a long-time member of Pelzer United Methodist Church and formerly served on the First Citizens Bank Advisory Board. 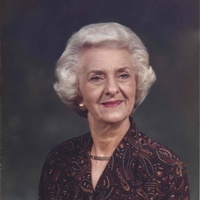 For 2001-2002, she was named Citizen of the Year by the Pelzer Lion's Club. Her greatest honor, however, was when families repeatedly placed their trust in her in their greatest times of need. She served her Lord, by serving others. Survivors include children, James "Lee" Gray, Jr. of Pelzer, Lori Gray Simpson (Dan) of Easley, and Samuel "Lance" Gray (Shea) of Williamston; grandchildren, Brooks and Rosemary Gray, Allen Davenport, Anna Stowe (Robert), and Meridith Olivia Gray; great-grandchildren, Parker Davenport, Charlie Anna and Charlotte Stowe; sister-in-law, Lucille Bellamy of Lake Junaluska, NC; special friends, Debra Gray, Judy Young, both of Williamston, and Barbara Crawford of Franklin, TN. She was predeceased by brothers, Everett Bellamy and Rev. James Stanley Bellamy. The family is extremely grateful for the love and care provided by her caregivers Ruby Chillers, Ernestine Smith, Judy Moon, and Megan Marcengill. They made it possible for Mrs. Gray to complete her earthly life with the same dignity she exhibited in earlier years. Visitation will be Tuesday, December 5, from 6:00 until 8:00 p.m. at Gray Mortuary. The funeral will be Wednesday, December 6, at 2:00 p.m. in the mortuary chapel, with Rev. Lee Cole and Rev. Mark Spearman officiating. Burial will follow at Woodlawn Memorial Park, Greenville.